Of all the options available for replacing missing teeth, dental implants are at the top of the list—they’re the best option for natural biting and chewing experiences, and the most natural looking option for tooth replacement. In addition, dental implants promote serious health related benefits. Dental implants stimulate bone growth, which will help keep your jaw strong and healthy, without affecting the quality of the surrounding teeth. An implant will not limit your speech or diet, and will work just like your real teeth. 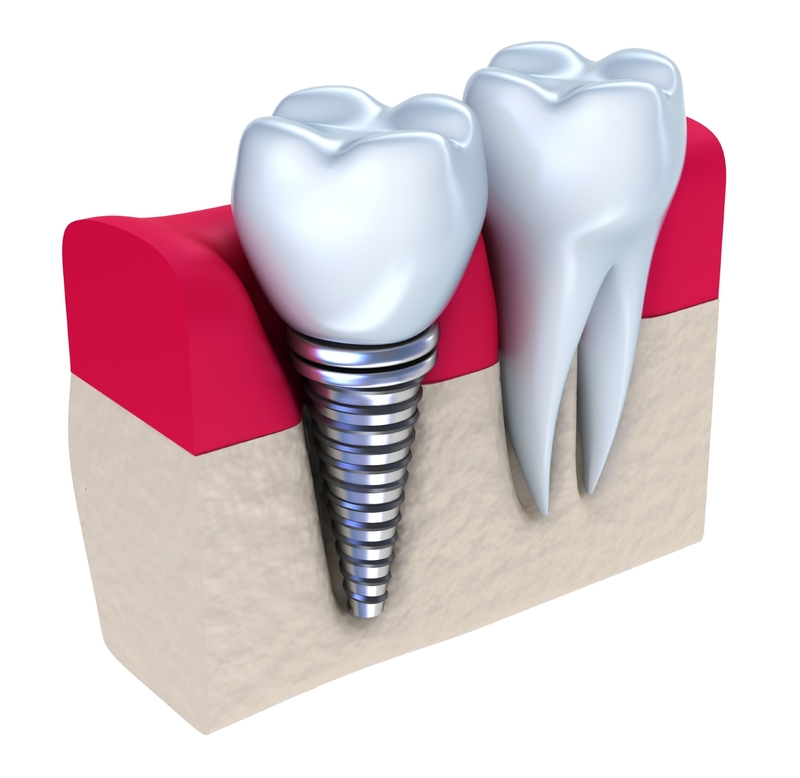 The implant is created by first gently inserting a titanium post where a tooth used to be. This titanium post serves as the root for the natural-looking covering which serves as the tooth. Once in place, the implant stabilizes the space once held by the natural tooth, keeping the teeth around it in proper position. To be a candidate for implants, healthy gums and bones are required. And, of course once implanted, they’ll require you to maintain excellent oral hygiene, which includes regular visits to Dr. Roe to keep them in peak condition. Contact the North Dallas Denture Center today to schedule a consultation with Dr. Jason Roe and review your best options for a healthy set of teeth and a brilliant smile! North Dallas Denture Center is the practice of Jason Roe, DDS, FACP. Dr. Roe's passion is to give you the best fit, look, and function from your dentures and bridges.